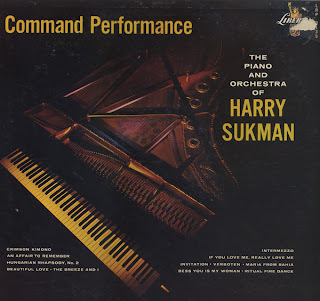 The April 18, 1960 Billboard put the "Special Merit Spotlight" on this album: This is a fine new album featuring Harry Sukman, the concert pianist who composed the background score for the film based upon the life of Franz Liszt, called "Song Without End." Included here are manyh of Liszt's famous works, including "Liebestraum," "Hungarian Fanstast." and Concerto No. 1." They are played expressively by Sukman over full orchestral support. This album should have strong appeal when the film is released nationally. Sukman was a prolific soundtrack composer. His first imdb.com credit is for a 1954 sci-fi movie, Riders To The Stars. Curiously, unless I missed it, Sukman doesn't have a wiki page. His daughter, Susan Sukman McCray, has written a book for children based on her father's "young life and love for the piano". Copies can be purchase directly from her website. This was not the soundtrack, but a "tie-in". The Amazon review calls the movie itself "barely a movie". I have NO idea how songs like Empty Saddles in The Old Corral or The Last Round-Up fit into the movie... if if they do at all. 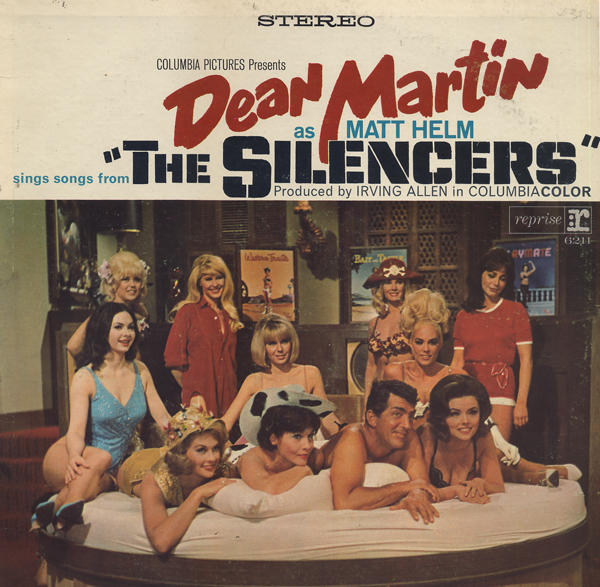 The last track on the B side is an instrumental titled The Silencers. 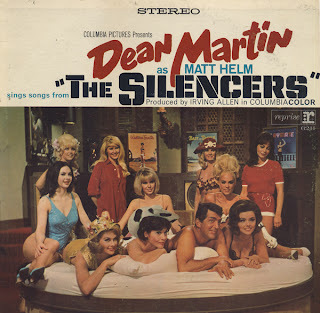 I assume that song was actually featured in the movie (as indicated on the wiki "Silencers" page). Total cheese for the most part, however, the tracks, Lord, You Made The Night Too Long and The Silencers instrumentals are cool. 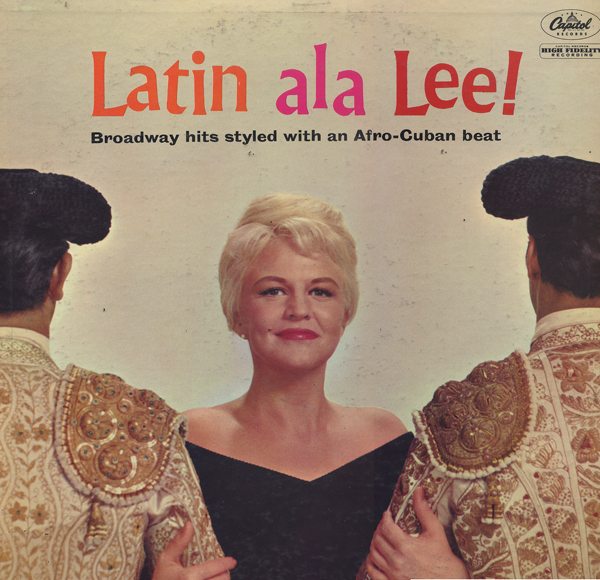 An unlikely combination of a pop singer, show tunes and latin music. Lee is backed up by a smoking band, The Jack Marshall Orchestra. Through the first couple of songs, I was hip to the instrumentals but not Peggy. The third track, Till There Was You from The Music Man, was slow enough to allow the smoky quality of Lee's voice to take over. The same goes for Hey There, from The Pajama Game a track that also has a quirky 60s feel to it. I'm being picky, but a few tunes didn't translate well to "Latin". But the majority of tracks are wonderful, including The Party's Over from Bells Are Ringing and Wish You Were Here from Wish You Were Here. I was draw to the album by the fun cover art which won a Grammy in 1960. There are at least a few tracks from this set available for purchase download, so I will not be posting a sample here. Apparently Dukoff developed his own mouth pieces which you can purchase from his website. 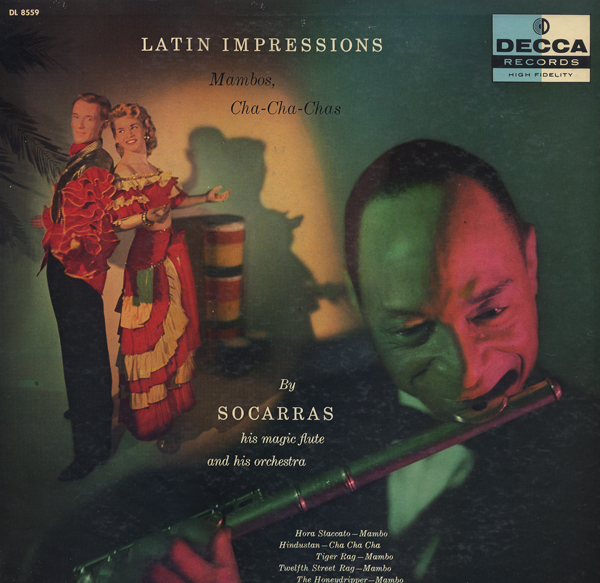 From Billboard August 5, 1957: Interesting tone color of Alberto Socarras flute dominates mambos and cha chas derived from seemingly unlikely sources. 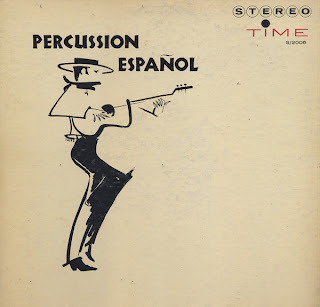 Two blonde Latin Wannabes being lured to dance by the devilish Pied Piper's flute being wielded by the Bela Lugosi-esque Socarras grace the cover. From his wiki page: In the 1950's Socarras took part in Rod Serling's The Twilight Zone on TV and offered concerts of cult music at the Carnegie Hall in New York. There is probably no tie in to this cover art and The Twilight Zone or is there? The music is pretty straight forward Latin made bright by Socarras's Magic Flute. The last tune on the set, Capricho Brujo is a Mambo tune and the only track credit to Socarras. And the song is one of the better tunes on the album. 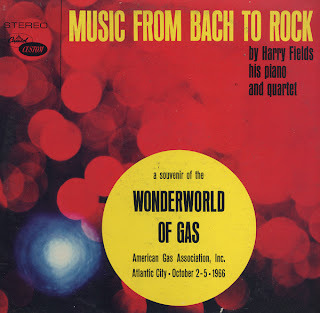 Audio Fidelity released records with well designed covers! According to the back cover Choco is short for Chocolate. 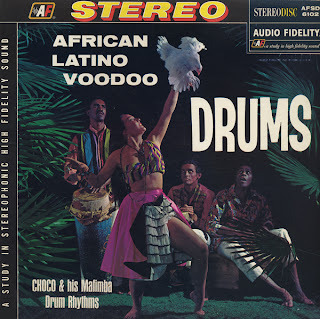 There is extensive notes covering the history of Afro-American folk music on the jacket, but nothing is mention about the performer(s) on this record. The first three tracks on the B side are Fantasia Haitiana. From the back cover: The Fantasia Haitiana Nos. 1, 2 and 3 are unusual because they show how, in the hands of an artist like Chocolate, primitive rhythms can be developed into a set of metrical variations. 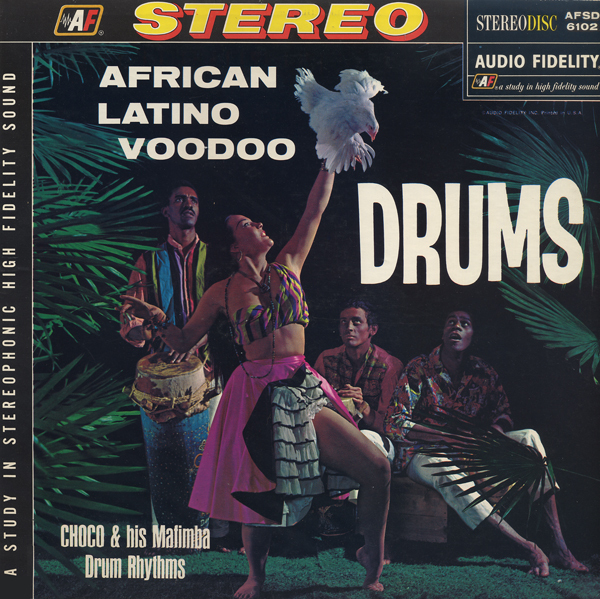 The entire recording focuses on variations of drum percussion. 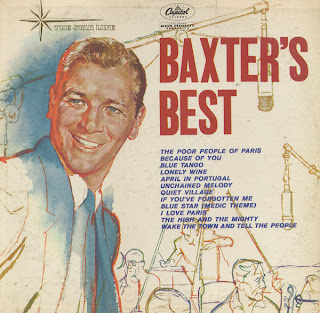 This is a nice collection of Baxter tunes recorded from 1951 - 56. 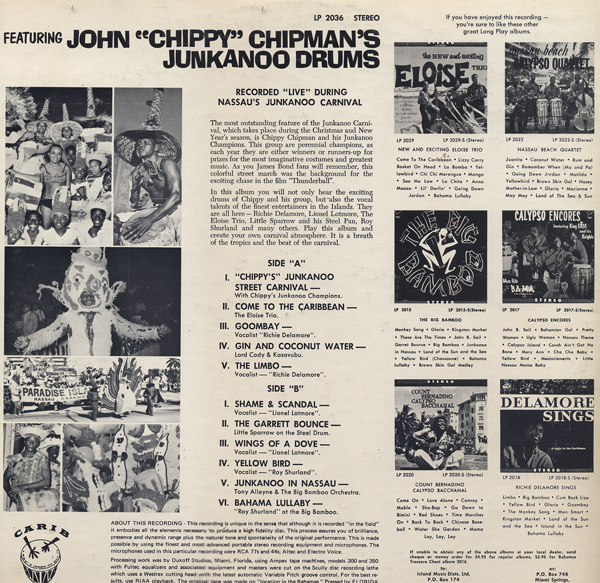 The May 16 Billboard called this "package of old sides" but gave the record "very strong sales potential". 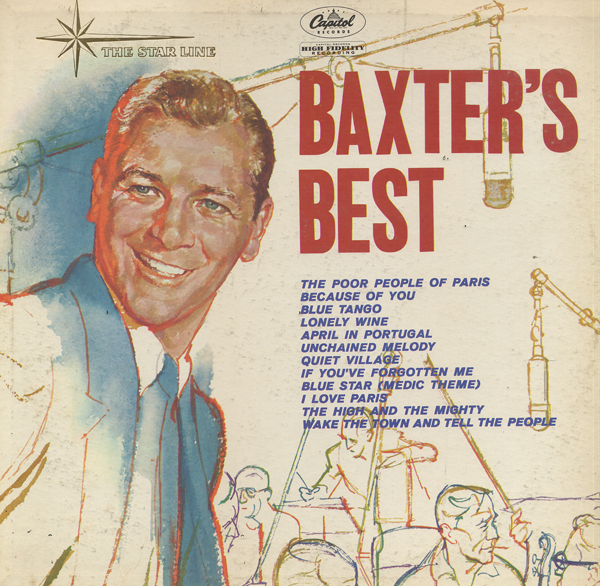 You can visit bax music and sample tracks from a number of Baxter projects. This set is light for 1968. That fact aside, the sound turns out to be a lot more fun that I expected. Great easy listening with a sense of humor. 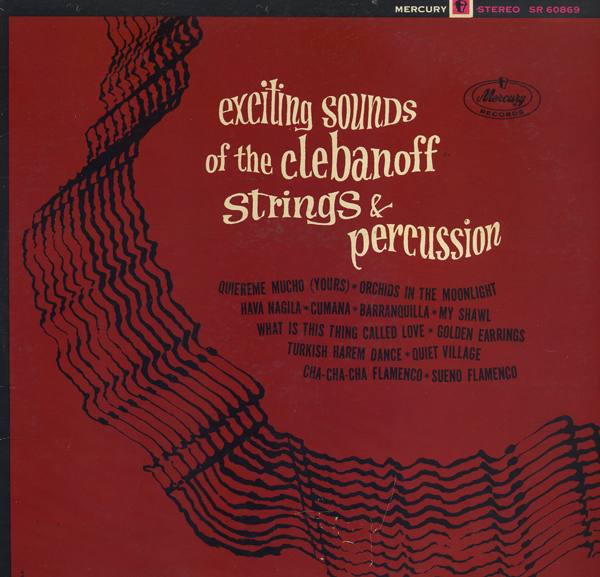 High quality recording on the TIME label with arrangements by Al Caiola. 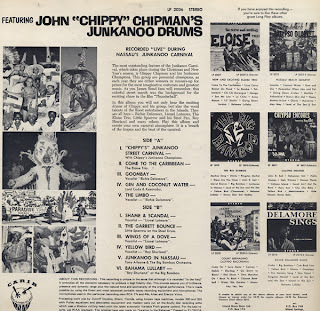 The jacket is a double truck and I think this record must have been Time's answer to Enoch Light's Command Percussion Series. By way of a sample, I picked Andalucia (better known as The Breeze And I) because the tune is so widely known as an "exotica" tune. It's also the best track off the record in my opinion. 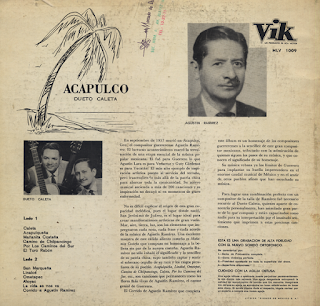 Al Caiola also played guitar on this album as well as Mr. "X", John Pizzarelli and Don Arnone. Who Mr. "X" is... I have no idea. There are no online references for someone who would have been playing that many decades ago. Someone under contract to another company? Who knows? 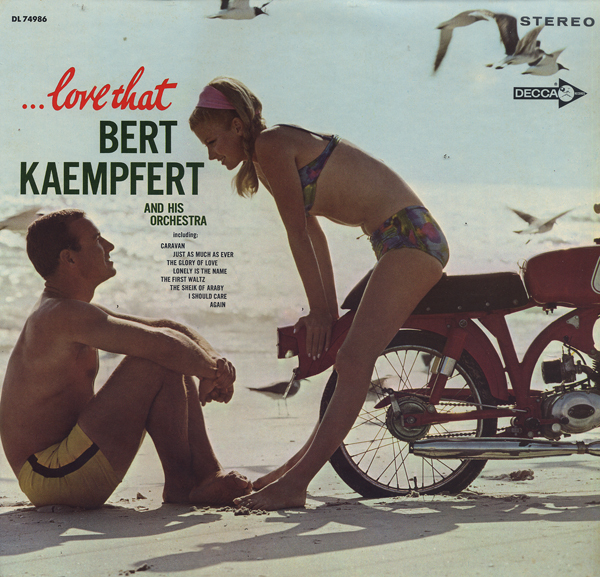 Anyway, this isn't a "guitar" album, but more of an small band light 60s percussion/pop album. It's pleasant and consumable. The August 15, 1960 Billboard loved the album. " Al Caiola did the arrangements and they have much showmanship and brilliance." 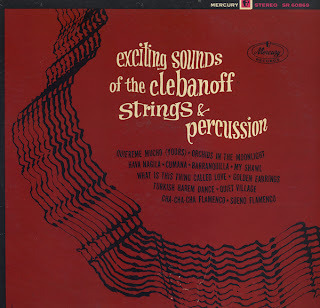 Here is an obscure and terrific compilation album. Not only is the cover a treat, but Carib did a great job of assembling together a number of smoking "island" tunes including, Chippy's Junkanoo Street Carnival. A wild percussion based tune that is apparently a Christmas song and sounds like it could have been recorded by a New Wave band in the 70s. The Eloise Trio's, Come To The Caribbean is Yma Sumac-like. Wings Of A Dove with Vocalist Lionel Lotmore is also a cool tune featuring a Reggae beat. That song is followed by one of the smoothest covers of Yellow Bird I've ever heard by Roy Shurland. 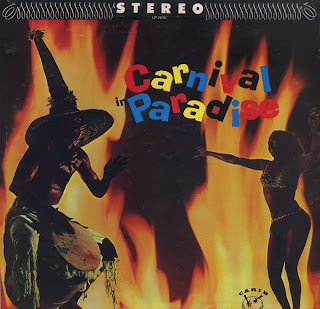 Other songs I really enjoyed were Junkanoo In Nassau by Tony Alleyne & The Big Bamboo Orchestra and Bahama Lullaby also by Roy Shurland at the Big Bamboo. 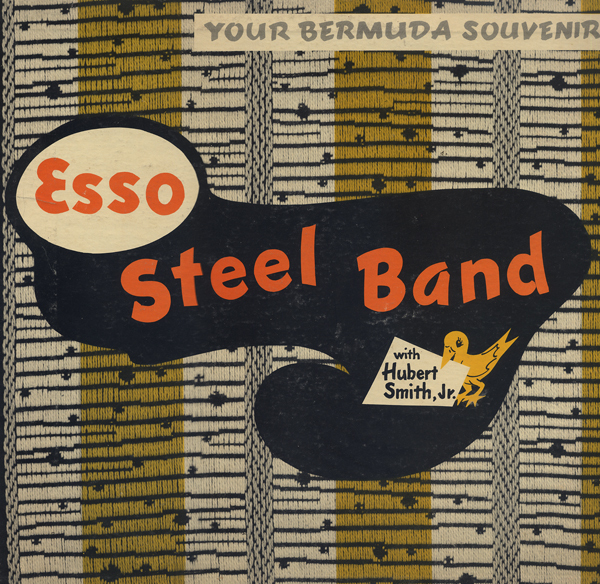 Esso Steel Band - Hubert Smith Jr. According to the jacket notes Hubert Smith Jr. was 19 years old when he recorded this set. His performs on this LP with a group called The Wonders Quartet. Very nice stuff for a "souvenir" album. 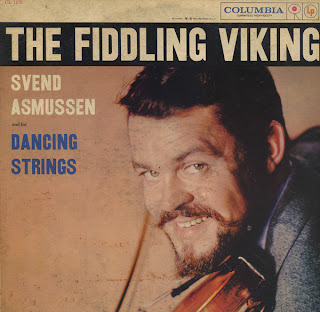 Late 50s Vik release. Not being able to read the notes, I can't offer any information. The March 6, 1961 Billboard: The arrangements are both tasteful and musical, and what is more they engage attention and hold it all the way through. I can't find SR 60869 / MG 20869 anywhere online. 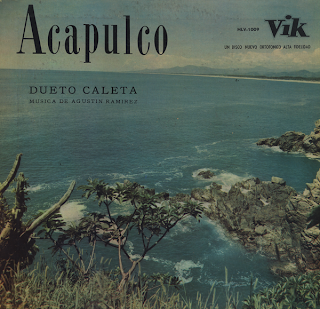 I found this album with another cover design dated 1961/mono. This is the stereo release, which must have come a little later and, perhaps, saw little distribution. I don't know what Billboard means by "tasteful and musical"... but the record is engaging, mixing a variety of styles from easy listening folk to groovy Enoch Light "light pop". Once you get the obvious jokes out of your system... you'll discover a decent jazz album. The back cover indicates that he taught Mickey Rooney, Mae West, Judy Canova and Vince Edwards paino. He also was the author of an "...excellent piano instruction book entitled A Field Day at The Piano". The sample track is a live track recorded at the 1963 American Gas Association Convention at The Ambassador Hotel, Los Angeles. 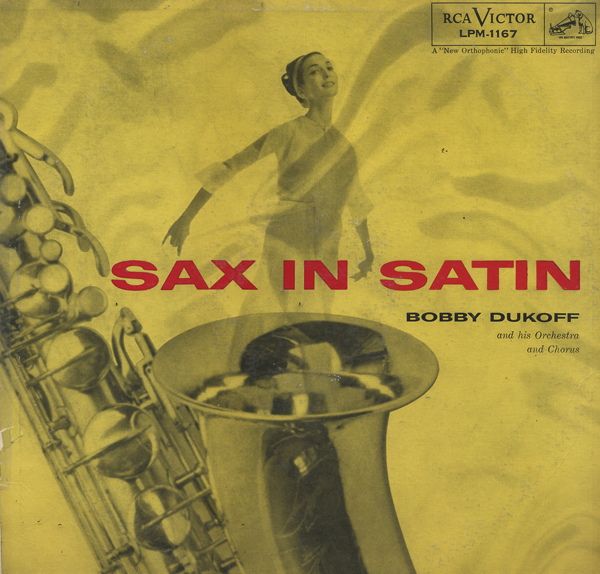 The band included Pete Condole (who played with Woody Herman and Stan Kenton), Plas Johnson (who played on records by Peggy Lee, Nat "King" Cole" and Frank Sinatra), Victor Feldman (who worked with Benny Goodman, George Shearing and Miles Davis) and Stan Levey (who was considered one of the earliest bebop drummers). Something I've never seen in a thrift or even in a record store in this area is a Fantasy label record. I discovered Fantasy when I bought my first Korla Pandit album. Fantasy pumped out a ton of cool records on the West Coast. 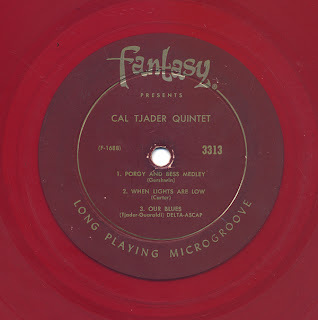 So I was happy and surprised to find this red wax Fantasy Tjader album today. I didn't color correct the cover, the photo was printed is as dark and murky. Apparently this is one of the few notable straight-ahead jazz albums Tjader cut for Fantasy. 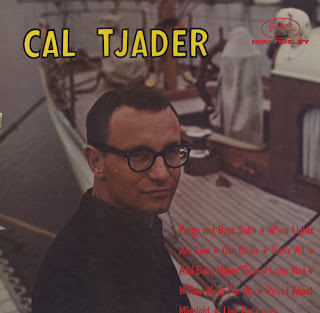 Tjader made a ton of records. Check out his discography and bio on his wiki page. The cover of this album is a misleading. I expected the music to be a bit more "stiff". However, the sound of the set is almost "topical" or Hawaiian. 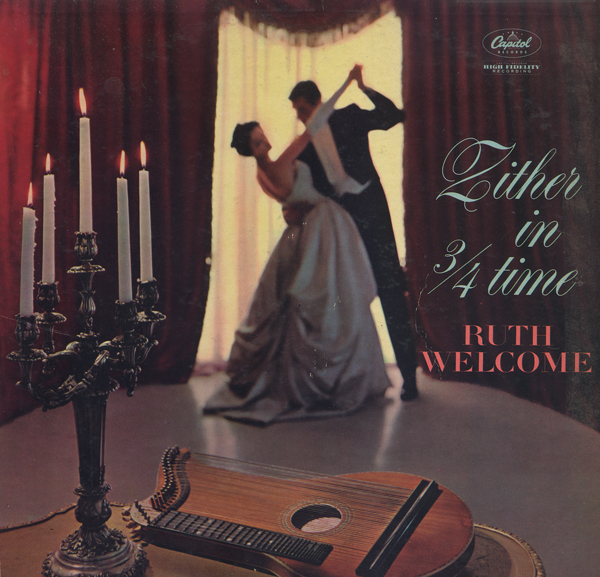 Welcome plays the Zither like a steel guitar against the vibraphone. Welcome creates and sustains a soft thematic mood much in the same way that Jackie Gleason does on his romantic projects. This album turned out to a bit of a surprise. The cover art, graphically, seems more modern than when it was printed in 1959. And the music, thankfully, turned out to be delightful big band easy listening pop with a modern jazz swing sound. The number one track is a nice cover of Tabu. From the cover notes, it seems as though this album may have been Asmussen's introduction to American's record buyers. According to his wiki page, Asmussen toured the states in the late 50s. The article doesn't mention this album, but goes on to state that Asmussen recorded with Duke Ellington on Jazz Violin Session in 1963. Here's another online article that goes into more detail. This album seems to have fallen through the cracks in this bio and it doesn't appear on his discography.